We got an emergency call about a pellet boiler ignition fault at this site. 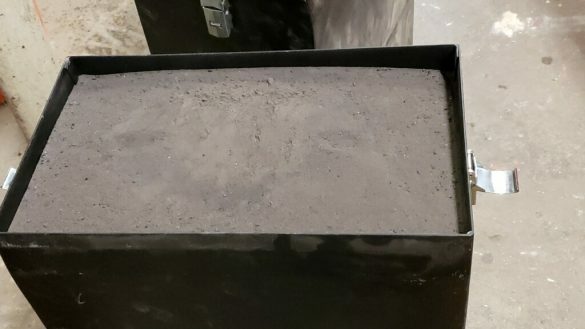 When our service person arrived, they found the ash box was completely full. It had not been checked and emptied in weeks. When an ash box is totally full, you need to look more deeply into the boiler to see if the ash is built up in the firebox area as well. All of this must be cleaned out before restarting. This kind of build-up is also the cause of other kinds of faults that shut down a boiler at inopportune times. When you check your ash container once a week, it will only rarely be full to the top. Dump it every time each week. This will prevent a long list of problems that can cause your boiler to fault out! Automatic de-ashing systems with easy to dump ash boxes were a big innovation about 8 years ago. 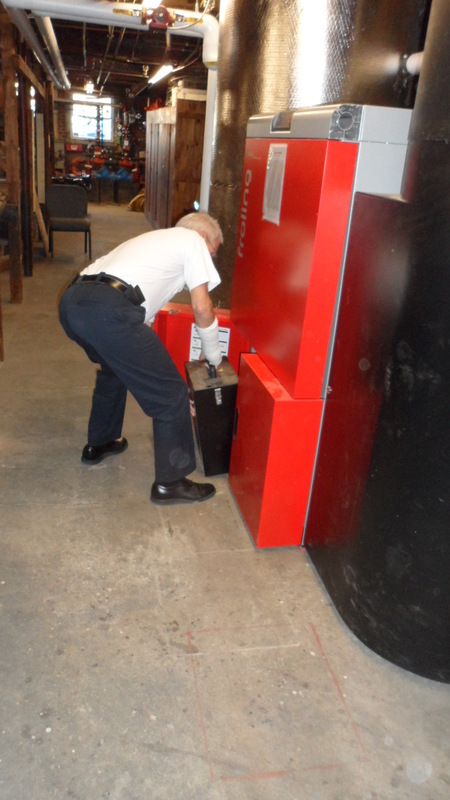 Make sure that the container gets re-atttached properly and the ash door closed tightly–otherwise the boiler’s safety control system will shut the system down. Of all the problem calls that we get, ash build-up is the #1 cause. 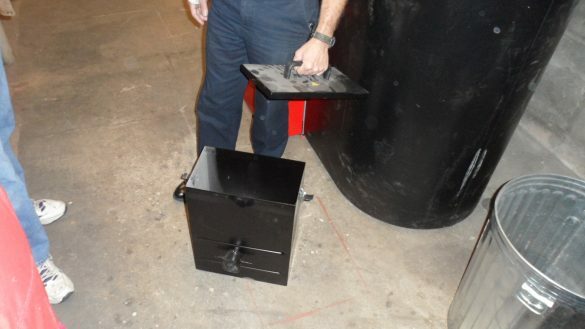 If it is full to the top, check for ash build-up in the chamber behind the ash box(es). The above refers mainly to Commercial applications where dozens of tons of wood pellets are burned each year. 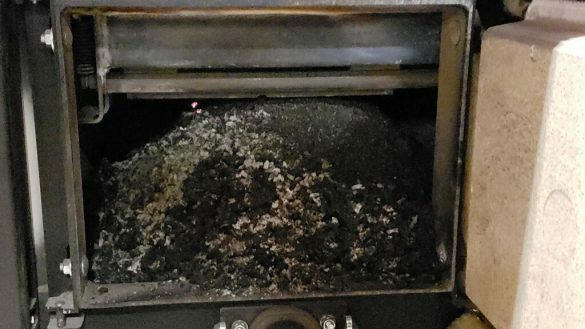 In Residential boilers, initially you should check your ash container weekly so you get a sense of how frequently your boiler’s ash will need to be dumped. In very cold weather we say, check the ash box weekly! But in warmer weather the container could go for 3-4 weeks before it must be emptied.